Often visitors provide the best opportunity to play being a “tourist at home”… exploring familiar sights with new eyes. 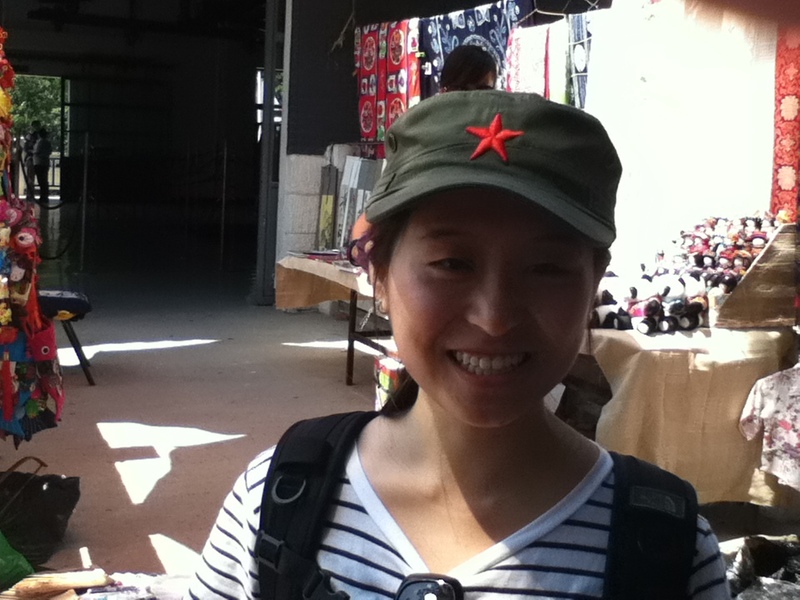 A few years ago, I was fortunate to benefit from the reverse phenomenon in China. 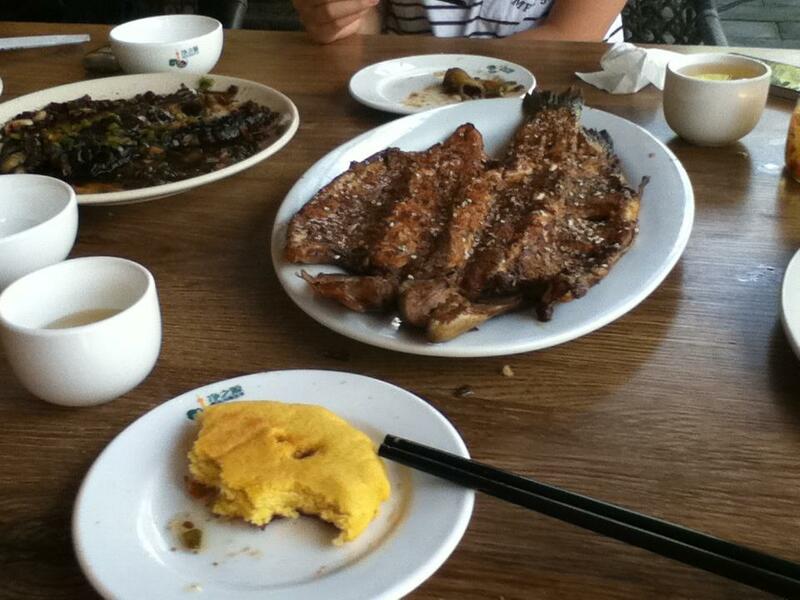 During my first trip to China, I was battling a nasty cold. 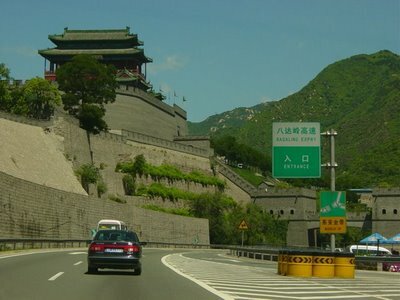 Undeterred, I still planned to see the Great Wall and enlisted the help of a dear friend from Canada – a bosa nova diva based in Beijing. She suggested we take a motorcycle tour – in theory a great idea. However, morning came and neither of us were in any shape to make the trek. The cold, dreary, overcast day didn’t help, however truth be told, we were just in no condition to do justice to one of the Seven Wonders of the World! 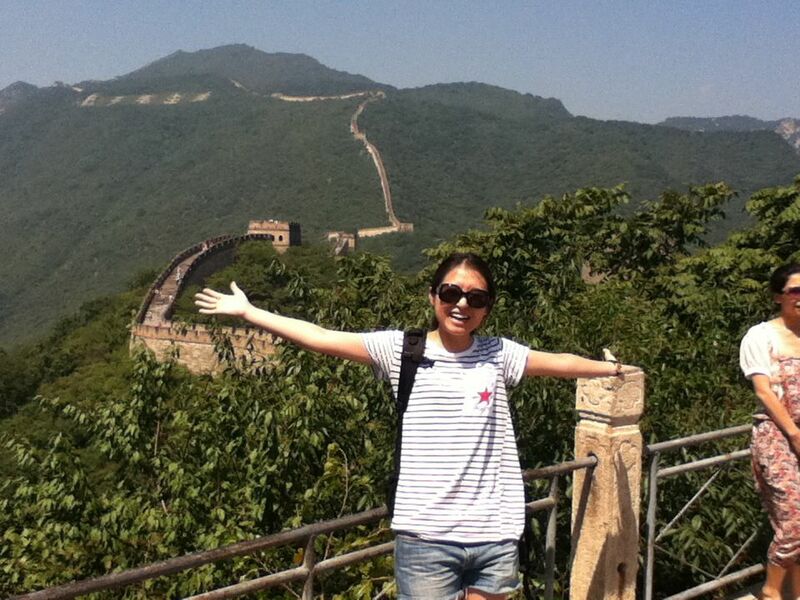 So the next time I travelled to Beijing, there was no way I was going to miss the Great Wall! 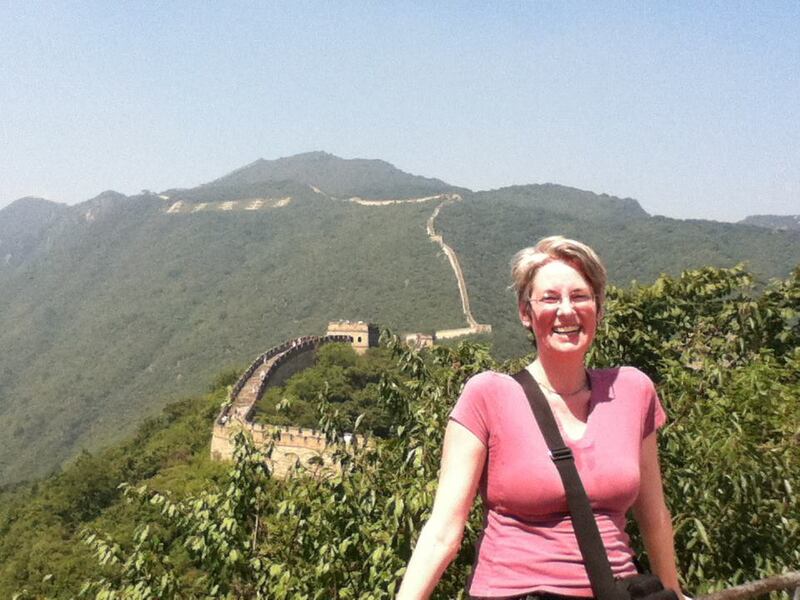 Alas my musical enchantress was away… However I was ever so fortunate to find a new partner – a lovely young colleague took it upon herself to do the honours of introducing me to the Great Wall of China. Naturally, her friends thought she was nuts – why bother going?? That’s the kind of day trip only tourists make – not someone from Beijing! However she was game, I was game and off we went. 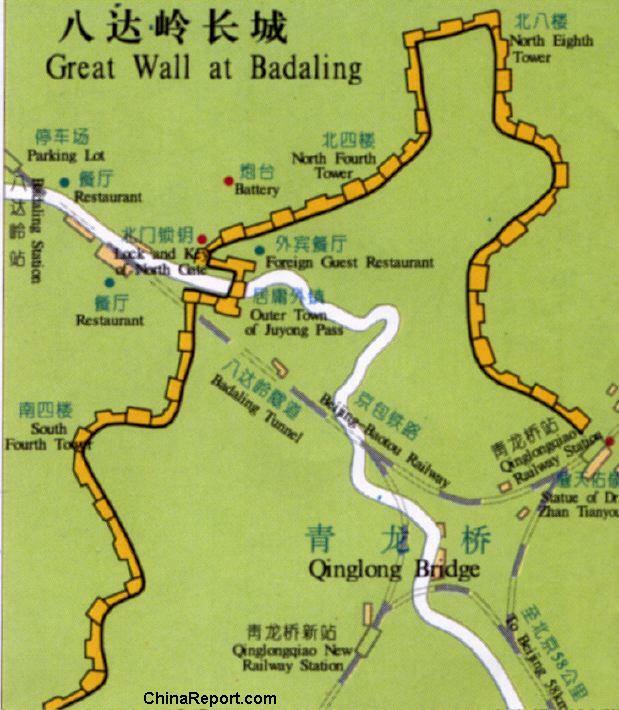 After an amusing introduction to GPRS in China, and its rather remarkable lack of ability to find a much-needed petrol station, we made it to Badaling, nestled in Yanqing County. We elected to walk up rather than take the cable car and certainly weren’t alone in our desire to pant up the steps. There were tourists from all over the world – and universally even those who started the climb briskly were doggedly lumbering up by the end. 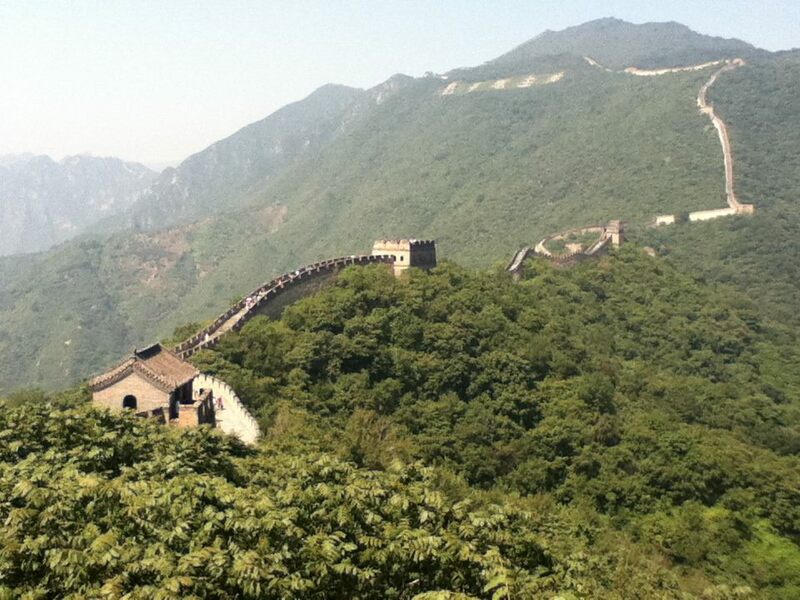 There really is a sense of achievement in making it up and wonder meandering along the wall. We had a merry time and got a kick out of the paraphernalia sold. 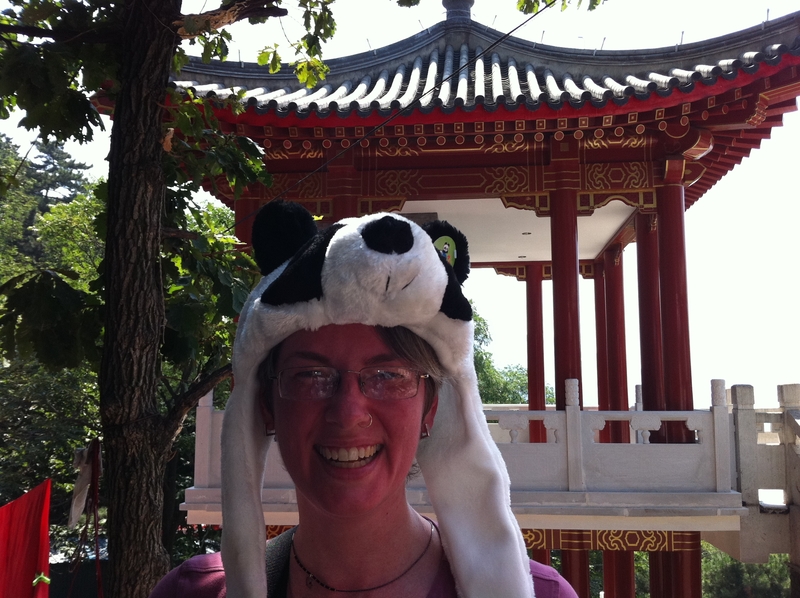 While amused by the Panda hat, the Mao cap made it to my nephew in Winnipeg, Canada. So fabulous that we lost track of time and suddenly realized needed to dash to the airport lest I miss my Hong Kong flight. I soon realized my friend has an inner “race car driver” that she unleashed on the highway to such success I reached the airport early! I’m convinced my speed demon friend beat a previous experience on the German autobahn when the father of my friendly family hosts decided to demonstrate just how fast their zippy car could go! My great wall companion continues her adventures in Barcelona where she is studying. I can’t wait to return the “tourist” favour when she comes to India. When was the last time you were a tourist in your own town? By Carissa Hickling in China, Travel on May 4, 2013 . Nice post. I love the funny hats. The area we went used to have little huts on the way down where they shout out to sell their souvenirs. The next time we went all those little shops were gone and replaced with new structures and paved concrete. I kinda liked the other older style as it gave it more character. Too funny…. I used to do a monthly photo challenge called “Tourist In Your Own Town”. I love the concept of being a ‘Tourist in your own town’ – both prompting others to take you exploring when traveling and also being the host. Alas my young friend is still off galavanting the globe – now in the US and hasn’t made it back to India – so I have yet to return the favour. My hope was to inspire others to show off cool things where they lived with the monthly “Tourist in Your Own Town” challenges. It was a lot of work to spread the word and I was only getting 1-3 participants. Sometimes I would have no one 😦 With a busy work schedule and getting ill (I had an operation last year) I let it go. It is something I have thought about re-starting, but haven’t gotten around to it yet. Its a great concept… but I’ve also hesitated to do any guest post type series as have a funny feeling it would fall flat on its face. Yes that may make it easier! Such an awesome post and a great read! I was a tourist in my hometown, Gdanks a few months ago and it was amazing!